As I am about to embark on a journey that will take me to a new place – Jaipur – and familiar destinations – Paris, Rome, Florence and London – I’ve started considering the meals ahead. 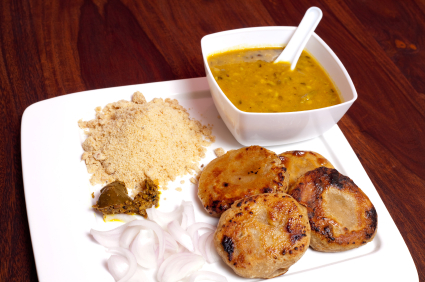 One important example of the local cuisine is Dal-Baati-Churma, with origins as a picnic food, now a favorite for special occasions. Will I like it as much as Rotis? As much as the Koeksisters of South Africa? How will it fit in my memories of this city I’ve yet to discover? As the day of departure approaches it’s fun to focus not just on new taste experiences but also think of revisiting familiar favorites. In Paris it's camembert from Marie-Anne Cantin’s shop (www.cantin/fr) that counts as a special treat. A Florence highlight is searching for (and sampling) lemon gelato. Will there be one that is outstanding? Travelers talk about the photos taken on their I-phones, I-pads and traditional cameras as favorite souvenirs of their travels. For me its not the photos taken with my bright red camera. Mine are the names, tastes, fragrances of foods discovered. Today I wonder - what will be the surprise of this trip?